We still have to wait for about a month or so before Samsung will officially unveil the Galaxy S8. A purported live picture of the handset was leaked recently and it may have provided us our first proper look at the upcoming flagship. We saw in that leaked picture that Samsung had ditched the home button and repositioned the fingerprint sensor on the back alongside the camera. 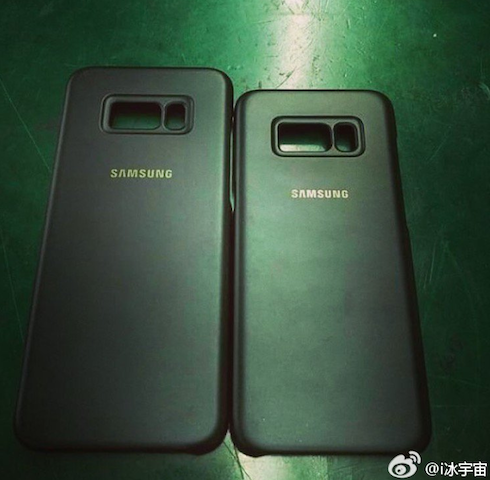 Images of what are claimed to be the official Galaxy S8 cases have appeared online today and they suggest the same thing. Samsung is expected to offer the 5.7-inch Galaxy S8 and 6.2-inch Galaxy S8 Plus this year. We can see cases for both models are more or less the same with the only noticeable difference being that of the dimensions. That’s because both models are said to feature dual-edge curved displays so the design itself will be very similar. The cut out on the back appears to be big enough for the rear camera and the flash on both models. You’ll see that the cut out for the fingerprint sensor is right beside it and it’s unclear if it’s big enough to allow proper recognition of the finger. Be that as it may, nothing is confirmed officially at this point in time so take this with a grain of salt. It’s common for many fake “leaks” to surface prior to the launch of a flagship smartphone so we have to be careful with what we believe right now. Samsung is expected to unveil the Galaxy S8 at a special event next month but it might show off a one-minute teaser of the new flagship later this month at the Mobile World Congress 2017 in Barcelona. Am I the only person who is thinking that the FP sensor is between Camera and Flash (small rectangle)? Don’t really think Sammy will place FP in small rectangle. The position of the finger print sensor is enough for me to keep my s7 for yet another year. No way am I downgrading to such a ridiculous design flaw. That’s of course if the rumours are true. My choice to upgrade sits on where the fp sensor is. I hope the fingerprint sensor is not there. I will be waiting for Note8 anyway so if it’s there I can get an opinion from users on how it works, but for a left handed person like me I’d spend more time pressing the camera lens than the fingerprint sensor. 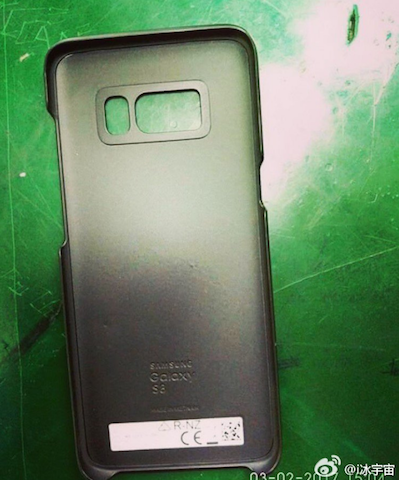 I really hope that isn’t the final design of the SGS8. As there fingerprint scanner is placed way too high for anybody to use. S8 was supposed to hit in the world but with this design they can’t go up, rather they will fall to greater heights. Very bad decision for this design .. very bad. ….. When I hold my phone in my left hand, the S8 FP scanner position looks ideal, but when I hold it in right hand, it will come at an awkward angle and index finger will struggle to reach it. The idea place for FP scanner is on the front. If it has to sit on the back of the phone, then it should be bang in the middle from both sides. Stupid idea for the location of the fingerprint scanner. I bet they’ll fix this in time for the Note 8, I just don’t understand how such a dumb idea sailed through. Omfg…..that positioning of the fps is freaking stupid. They are gonna shoot themselves in the foot with this design…. The only reason the Galaxy S8 won’t have the finger print scanner baked into the display is because the Synaptic technology, which allows you to have FPS in the display, won’t be mass produced until the Q2 2017. Too late to be implement inside the Galaxy S8, but just in time for the iPhone 8. Well what I keep seeing of leaks of s8 its gonna be a big fail, with this crap of finger print, who the hell developer this idea, it’s the most useless fingerprint design until today, even in s8 it’s smaller and you can reach it, and the camera, how is gonna be, always with finger print marks, oh yes that definitely gonna happen. And now the s8 plus, how you plan to reach the finger print, with one hand.? In the middle of the back, or where it should be in the front screen. I’m glad the fingerprint reader is on the back. I love it on my Nexus 5x. Just normally handling the phone and you touch the camera lens no fault of the fingerprint reader. Why don’t you flash it. After it i get updates with uae , ota ?